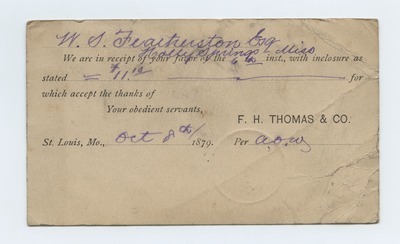 Folder 19 in this collection contains 44 non-picture postcards dated 1874-1881. Featherston Collection (MUM00181). Department of Archives and Special Collections. University of Mississippi Libraries.